The plugin install script requires direct Internet access to download and install X-Pack. If your Kibana instance doesn’t have Internet access, manually download and install X-Pack. Kibana automatically sends metrics to the Elasticsearch cluster specified in the elasticsearch.url property in kibana.yml, which defaults to http://localhost:9200. You can set the xpack.monitoring.elasticsearch.url in kibana.yml to specify the Elasticsearch cluster that Kibana should retrieve monitoring data from. 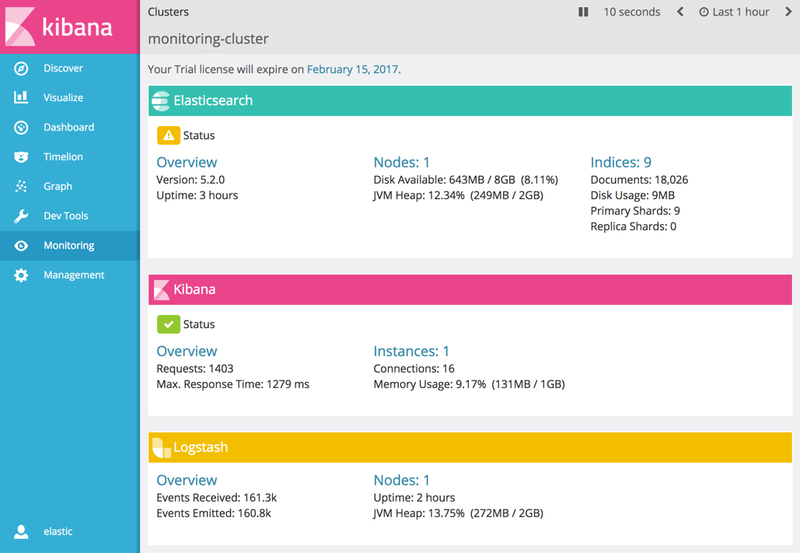 This enables you to use a single Kibana instance to search and visualize data in your production cluster as well as monitor data sent to a dedicated monitoring cluster.